Equities start the day higher as the economy IS WHAT WE THOUGHT IT IS (man I love this video, one of my favorite Bear highlights of all time). NFP comes in 175k (looking for 163k) and the rate was 7.6% (looking for 7.5%). So yea, nothing has changed. The economy is muddling along and creating a modicum of jobs on a monthly basis, which is exactly what we’ve known for years. And you know what? That keeps the Fed around, which is what the bulls want to see. I said on Wednesday that “we need to remain constructive, even on pullbacks” and this is precisely why. The selloff of the past few weeks has been about this Fed taper stuff but it’s also been about crowded trades. It happens, and you have to be cognizant of it. Look at this chart of the Nikkei, Yen, and S&P since early May, all the big winners got taken to the woodshed. Here’s the takeaway though: the Fed will reduce its pace one day but, to quote Aragorn from LotR, “it is not this day”. The day may come when the Fed dumps MBS and rips the heart out of equity traders…but it is not this day. An hour of limit down futures and shattered PnL’s….but it is not this day. This day we realize our mediocre economy is still limping along and we need gentle Ben, so I bid you stand and BUY…men (and women) of the West! (did this work? I’m not sure. Feels like it had potential but I couldn’t end it as powerful as the movie did). After the open stocks ripped, gold dipped, and bonds tripped. Basically the exact move you’d expect if you thought the Fed was here to stay. Amazing how fast sentiment changes right? We had a whoosh low yesterday around 1,600 and 1 hr into today’s session we were 40 S&P points higher. Sure feels like that correction has run its course, How was volume? It was ok I guess, but let’s take a moment to talk about volume because it’s one of my favorite topics. Volume has been permanently altered, it is not coming back as we used to know it. Ever. Why do I say that? Well for a couple reasons. First is that High Frequency trading has been killed by regulation. Second is the rise of passive investing. Third is the fact Baby Boomers are retiring and they will be shifting out of equities endlessly. But fourth, and probably most frustrating, is this (data from WSJ). The average price of an S&P stock is at an all-time high. Even worse there have only been 6 stocks splits YTD so it looks like companies aren’t keen on changing that. The cold hard truth is that clients simply need to purchase less shares to get equal exposure to an idea. Is there anything anyone can do about that? No, it is what it is, so we get used to it. I personally think that volume, on a macro level, is no longer a meaningful indicator. It has to be looked at in a new light. Anyway, as is prone to happen on days like these, the market ripped to its high and proceeded to trade sideways. By lunch we sat on 1,637, up 1%, as NY’ers left for Amagansett. In the afternoon we got an article from Hilsy saying that the Fed is definitely kicking around tapering but it didn’t really affect the tape. Interesting…that might be a very underrated sign. Oh and I must admit, I’m already sick of saying taper. I might try to push “rescind” or “dwindle” or “abate”. If you have any ideas let me know, I’ll gladly steal it and not give you credit. We kept grinding higher all the way to the close and by the time the bell rang we touched 1,643, up 1.3%. I guess people took my advice in the first paragraph without even reading it! Winners GME / MS / NRG / CME / KR. Losers IRM / CLF / TMO / NEM. Boy, you gotta think Uncle Ben is pretty happy with himself right now. They’ve floated the idea of reducing bond purchases and it 1) engineered a small correction without a panic 2) re-ratcheted yields higher in what appears to be an orderly way 3) had no outsized effect on the dollar and 4) got people thinking about what the world might be like without endless sugar. Am I wrong in thinking he is doing a great job here? Final Score: Dow 138bps, S&P%00 +128bps, Nasdaq +137bps, Rus2k +83bps (hmmm…weird underperf here). 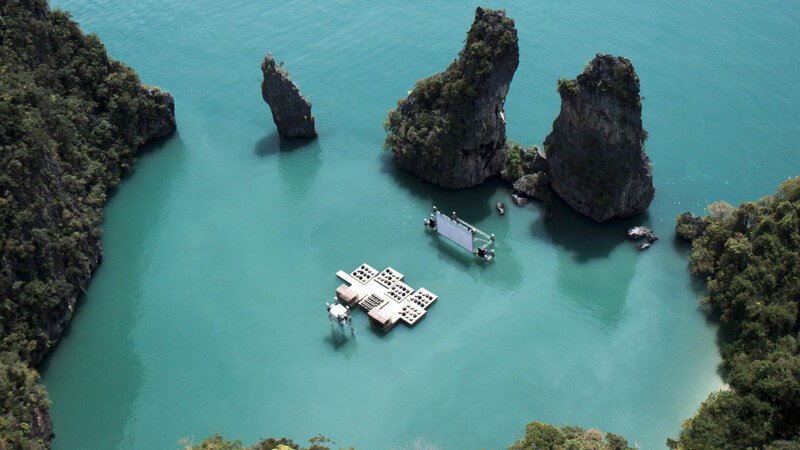 Think you could watch a movie here? Dear Wall St interns, we don’t need to see selfies of you in front of your company’s logo, k thx. Just show up and be humble. How are Pre-announcements going? Let’s check in on Srt Acct: “Season-to-date, we have tracked 43 corporate updates regarding key metrics.There have been nine increases to guidance, including two for the full year. In addition, there have been 12 decreases, with four for the full year. There have also been 22 reaffirmations, including 13 for 2013. Heading into the final few weeks of calendar Q2, the ratio of positive to negative preannouncements stands at 0.75-to-1.0. This is ahead of the 0.55-to-1.0 seen going into Q1 and the 0.6-to-1.0 four-quarter trailing average. If you had to guess what the Federal Govt’s largest financial asset was, what would you say (it’s 40% of the govt’s total). Give up? Student loans. We’ll end tonight with 2 car related videos. The second is a compilation of all the insane Russian dash cam videos. Talk about a crazy place to drive.